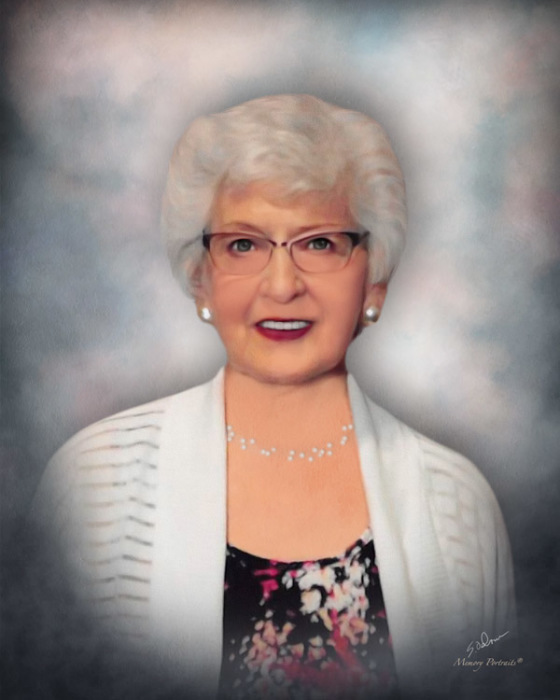 Vada M. Bernick, age 85, of Evansville, IN, passed away Saturday, January 19, 2019, at home. Vada was born August 22, 1933, in Dawson Springs, to James and Bessie (Sisk) Lovell. She graduated from Charleston High School. Vada retired as owner and operator of Vada’s Beauty Shop and was a member of Heritage Baptist Church, No Ruz Grotto Auxiliary, and VFW Post 1114 Auxiliary. She is survived by her sons, Phillip Bernick (Tamara) and Richard Bernick (Margaret); grandchildren, Chad Bernick, Wesley Bernick, Adam Bernick, Scott Bernick, and Whitney Wilson; great grandchildren, Owen Bernick, Zella Bernick, Adam Bernick, Quinn Bernick, Bree Bernick, Emma Bernick, Greyson Bernick, and Renley Wilson; loving friend, Gene Stogsdill; sister, Eva Workman; and loving nieces and nephews. She is preceded in death by her parents; husband, Earl Bernick; sisters, Lora Haulk and Anna Howton; and brothers, Tommy Lovell, Joseph Lovell, and John Lovell. Funeral Services will be held at 10:00 a.m., Tuesday, January 22, 2019 at Boone Funeral Home East Chapel – A Family Tradition Funeral Home, 5330 Washington Avenue with Pastor Samuel Haulk officiating. Burial will be in Sunset Memorial Park. Friends may visit from 4:00 p.m. until 8:00 p.m., Monday, January 21, 2019 at BOONE FUNERAL HOME EAST CHAPEL. Memorial Contributions may be made to: Heritage Baptist Church at 1900 Lodge Avenue, Evansville, IN 47714 or Hadi Shrine Temple at 6 Walnut Street, Evansville, IN 47708.